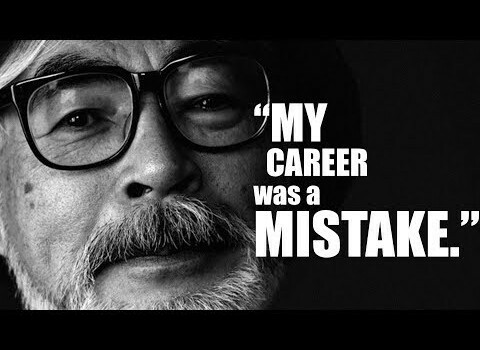 There are many YouTube videos that examine the life and career of Hayao Miyazaki. This one is easily the best I’ve seen. It examines his entire career from Toei Doga to Studio Ghibli, citing the director’s major touchstones like Horus, Prince of the Sun and Heidi, Girl of the Alps and Lupin the 3rd, and showing how his filmmaking style evolved into the Ghibli era and the present day. Steve McCarthy doesn’t wallow in hero worship or drown in “member berries”; instead, he offers an honest critique of Miyazaki’s work, praising his strengths but also highlighting his weaknesses. I find myself largely in agreement with his assessments. It’s good to have an honest discussion on popular culture instead of merely pandering to fanboys. This is an excellent video that all Ghibli Freaks will enjoy watching. You may even be inspired to track down Miyazaki’s pre-Ghibli works such as Horus, Heidi or Future Boy Conan. You’ll be glad you did. Great jorb!